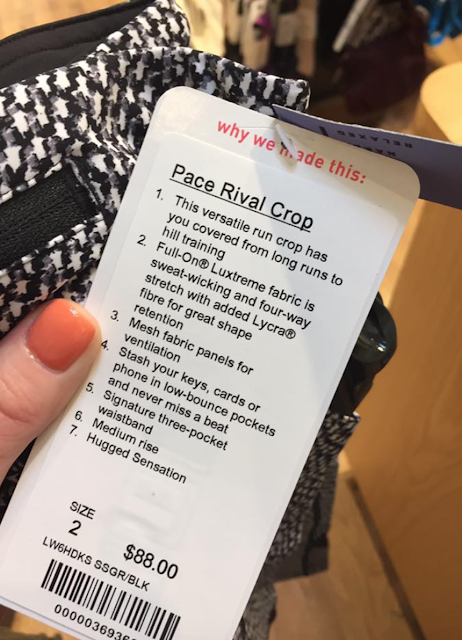 Thanks to Ms. M for sharing her store photos. 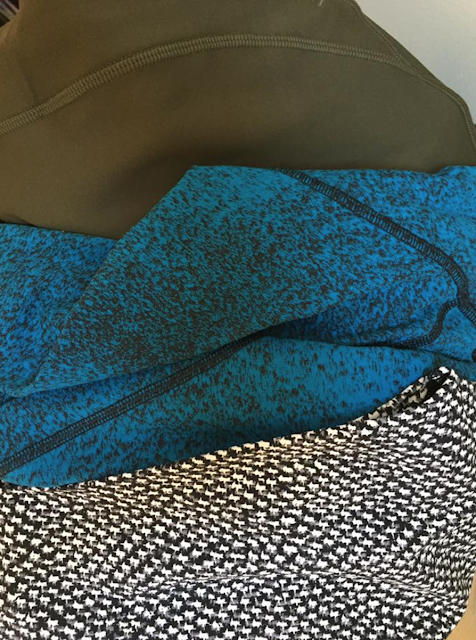 If you have any product drop photos from today that you’d like to share, email me at [email protected]. 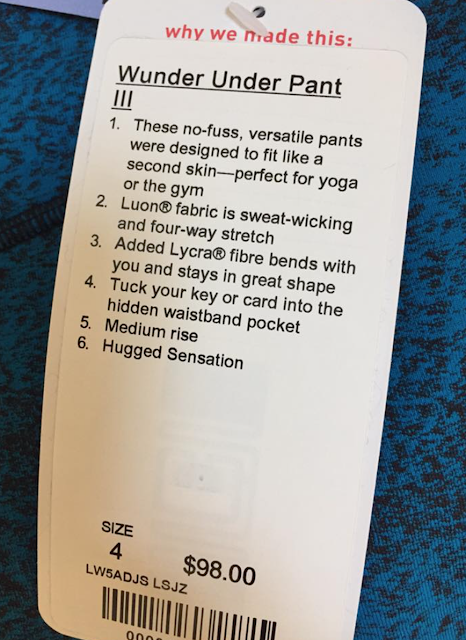 "Locarno Sleeveless Turtleneck, Wild And Free Tank, Wild And Free Tight, Wunder Under Pant High Rise Pencil Lace and Boom Bloom Beach Blanket, As You Like It Bra"
Thx for sharing…love seeing new stuff…and looks like my wallet is safe this week…yippee. after the florence tights and wmtm I think I need to be good. I have so much that it really needs to be a standout pattern or item. Agreed…just got my define and colour is gorgeous. I compared to Alberta Lake poseidon and tofino…it Def has more blue than green when against those colours….I love everything jet blue….hoping for crb surprise! @anon 2:39 Yep! Got one too and just love the colour. It is also a nicely thick luon and that sold me as well. All the stiching on it was immaculate. More old school lulu then some of the garbage they are putting out this year. 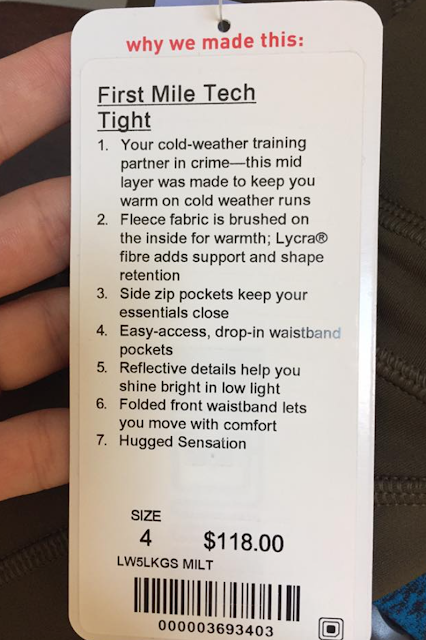 Another positive note, picked up both pairs of the soulful pants and they are a nicely thick super soft French terry with good structure to them. Just love! 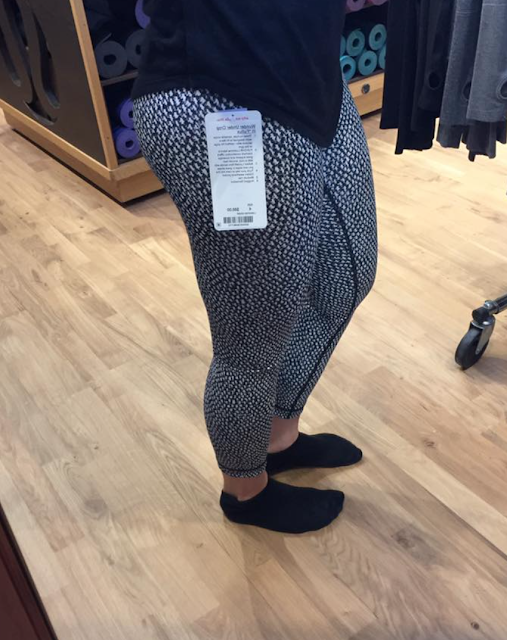 They remind me of my still pants from 2011 just a 7/8 length version…. Any Scubas or new jackets??? BTW. just bought a pair of Wunder Speed Florence off the app. Not showing up on the US site, yet…or…I can't find them. Got an email saying it's available now, but can't find it on the website… Guess you have to have the special link. 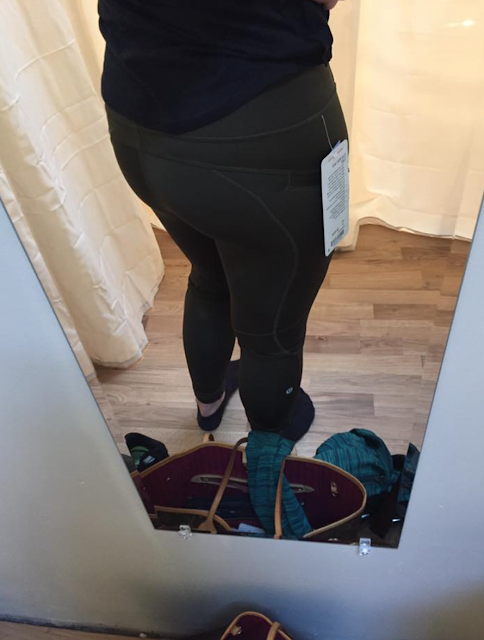 The First Mile Tech Tights look like they have potential. I'm a skater, so fleece pants are something I'm always interested in checking out. 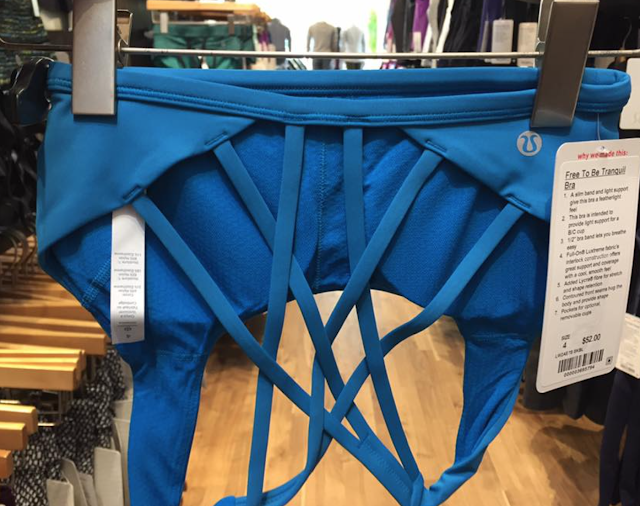 It kind of looks like the ankles are too short and fitted to be skate-friendly, but still worth a trip to the store. Thanks for the pics. The Jet Blue is really a pretty colour but so far they haven't made anything in that colour that I want. I got my All Time Sweatpants today and I will be returning them. I first tried them on in store in the light grey and they were about 4 inches too long but I wanted the dark grey and they didn't have them in my size so I ordered them online. Well the dark grey only hit my ankles and I am 5'2"!!! I heard they were short but the dark grey are much shorter than the light grey, very strange. The First Mile Techs look nice. I wonder how similar they are to my Toasty Techs. I'll be interested to compare them. 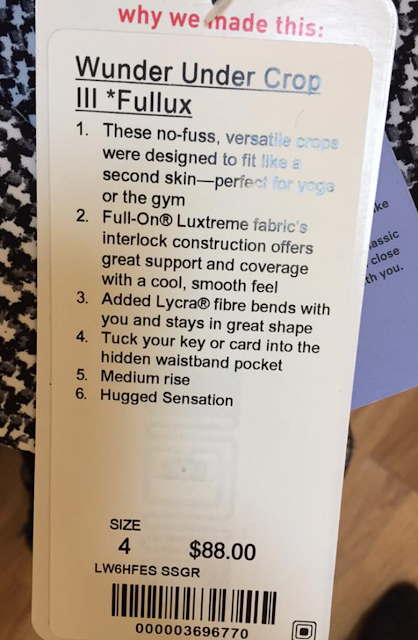 Hey Lulumum have you received an email from LLL about their Limited Edition Yoga Mats featuring landscapes from 6 different regions in Canada? I think they are beautiful and very unique but also very pricey at $88. I am not in need of a new mat but I wouldn't be surprised if they get sold out fast being limited editions. Upload on the UK site shows some of the new winter things coming !